Can Boat Captains Tell Passengers to Take Someone’s Fish? Question: If I purchase a one-day fishing license for a day of deep sea fishing, shouldn’t it entitle me to catch my own fish? I ask because while fishing on a party fishing boat recently, some people got their limits early but kept fishing, and some of us were never able to get our limits. The captain knew some people kept fishing after getting their limits and that some people (like me) had caught only a fraction of my limit. Nevertheless, the captain halted all fishing early and headed the boat back to the dock with many unhappy people. He then told the people with overlimits to take extra fish out of their bags to give people who hadn’t caught much. Does the captain of the boat have the authority to let some people catch more than their share and then require people who had not caught limits to take these other people’s extra fish to call their own just to fool the wardens if they board the boat for an inspection? When I go fishing, I want to catch my own fish. If I run out of time without getting my limit, I can understand not being able to catch my quota. But when the captain of the boat orders me to stop fishing and take fish caught by others, I think that stinks. Answer: Unfortunately, although this seems like an illegal practice, it is not. 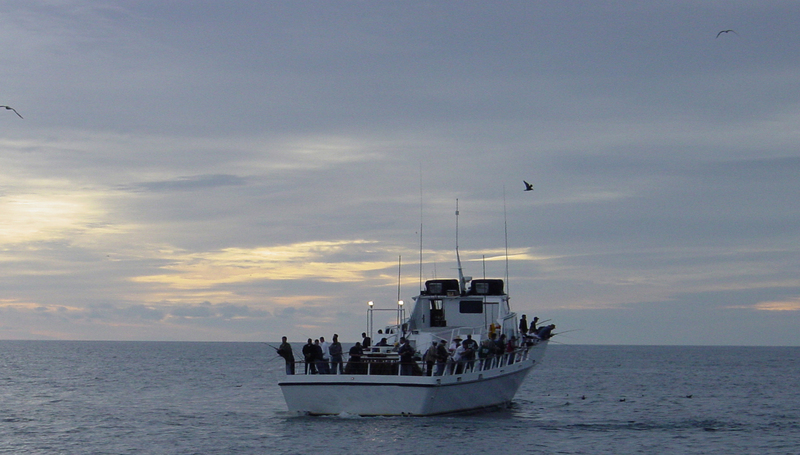 When fishing on the ocean, boat limits apply (California Code of Regulations Title 14, section 195(e)). A boat limit for a species or species group is equal to the number of passengers aboard the vessel that are licensed or otherwise authorized to sport fish in ocean waters off California multiplied by the individual daily bag limit authorized for a species or species group. This means that each boat must stop fishing once they have the number of fish on board that collectively equal the number of licensed fishermen on the boat, multiplied by the individual limits. For example, on a boat with 20 licensed fishermen, if the bag limit is 10 fish per person, the boat cannot carry more than 200 fish regardless of who caught them. Each person cannot leave the boat with more than an individual bag limit. That’s why the captain told you to fill the remainder of your bag limit with extra fish caught by other anglers. Although this is legal under California law, it may not seem satisfying for people expecting to catch and keep only those fish they catch themselves. Keep in mind though that you are not obligated to take the fish from the Captain. If you don’t mind going in without your limit, the Captain cannot order you to take fish. If that is the case and the wardens are waiting at the harbor, and there is an extra limit of fish on the boat because everyone else who walked off had a limit, the Captain may be in violation. You could also advise the skipper when you board the boat that you will not be accepting fish, so don’t count you in on the boat limit. All I can recommend for next time is to check with the boat captain ahead of time to see what their practice is and if you may not be able to catch all of your own fish. If so, you may decide to check around for another boat and captain. Preparing out-of-state antelope for border check stations? Answer: Antelope don’t appear to be susceptible to chronic wasting disease (CWD), so there are no special restrictions. The law created to keep CWD out of California only applies to deer and elk. If you are worried about this, you can provide the border station with a copy of section 712 of the California Code of Regulations Title 14. For more information, please go to www.dfg.ca.gov/news/issues/cwd_faq.html. Answer: A Colorado River Special Use Stamp is required for anyone fishing from a boat or other floating device on the Colorado River or adjacent waters forming the California-Arizona border. In addition, the holder of a California license must have an Arizona Use Stamp, and the holder of an Arizona license must have a California Use Stamp. This entry was posted in Bag Limits/ Possession, Fishing, Licensing/Permits/Stamps/Report Cards, Regulations, Transporting Taken Animals, Waterways and tagged big game hunting, freshwater fishing, hunting, Licenses, ocean fishing, regulations. Bookmark the permalink.